I recycle and compost, but I am sure there are a lot more things I could be doing to save the environment … like eating Sun Chips. You’ve likely seen the commercials for the new Sun Chips bag that is completely biodegradable. If not, visit this site. 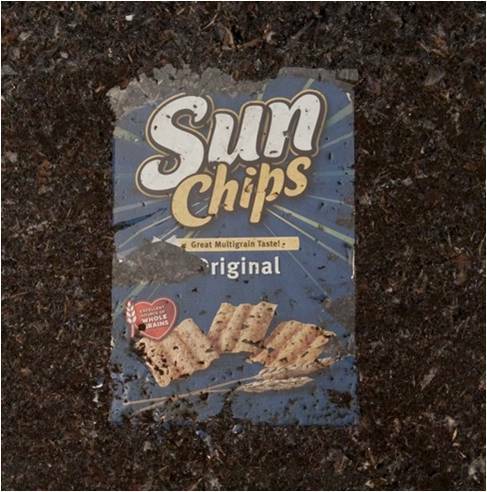 Starting April 22, 2010 – Earth Day – Sun Chips will come in a 100 percent compostable bag that breaks down completely after just 14 weeks in a hot compost bin. The new SunChip bag’s outer layer is made with polyactic acid (PLA), a compostable, plant-based renewable material. By Earth Day, all North American SunChips bags will feature the compostable packaging, which is expected to cut down on greenhouse gas emissions. Next time you have to chose between Doritos and Sun Chips, do the earth a favor and go with Sun Chips.